Desi Smith/Staff Photo. 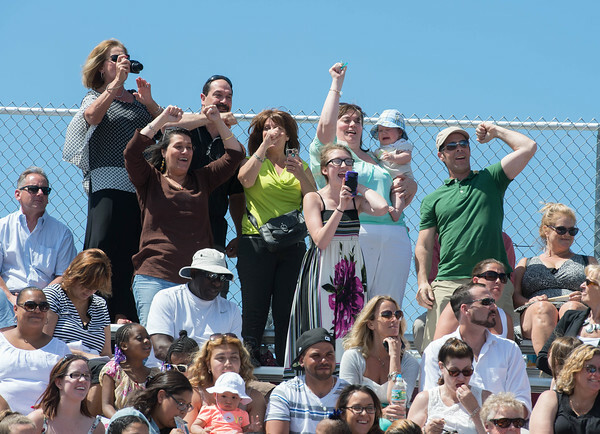 Family and friends chant out Casey,Casey, as Casey Oliver crosses the stage to receive his diploma Sunday’s Graduation Ceremony at New Balance Track and Field at Newell Stadium. June 14,2015.